Cheap and cheerful hen decorations make the party a fun place to be and show the bride that you have put in some effort to make her last night of freedom special. This Hen Party banner is great for putting on doors or entrance ways to let everyone know there is a group of wild girls inside letting loose! Balloons balloons are everywhere!! Put these balloons in the car, on the floor, the walls and even on the doors! This versatile item is a cheap price and a bright exciting hen party colour. With this pack of x12 hen party balloons you will have everybody bursting with joy! 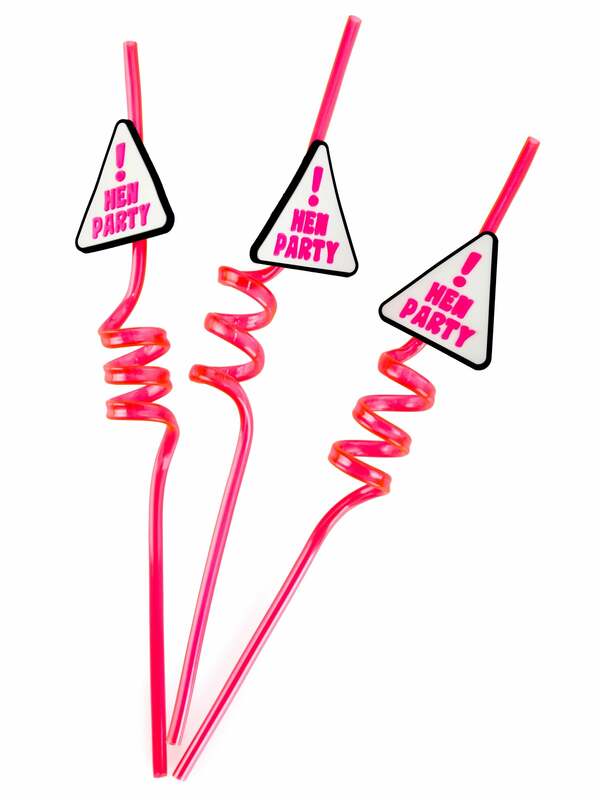 Hen Party Straws are a super table decoration that's practical and looks great. They come in a pack of three and are pink iridescent with a triangle printed plaque. The plaque is made of rubber and has raised writing.